unorthodox mavericks and rebels who know better than those in charge. While loose cannons make for exciting movies, in the real world it’s not so straightforward and can lead to abuses of power. as steely but vulnerable, self-assured but hesitant, and competent yet seemingly adrift in this moral vacuum. Tough enough to conduct her own medical treatment after being caught in an explosion, she is nevertheless realistically fearful in life-or-death situations. Brolin brings swagger to his role, while Benicio del Toro almost steals the film as a haunted, shadowy figure with a hidden agenda. Villeneuve, aided by Taylor Sheridan’s whip-smart screenplay and Roger Deakins’ exceptional cinematography, takes us deep into this dark world of Black Ops whilst always maintaining enough distance to question the ideology of this enterprise, no matter its success. 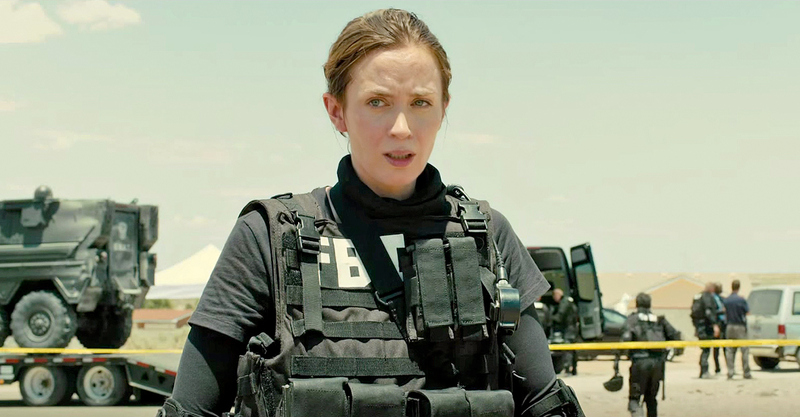 And for all its thrills, Sicario is wise not to offer any easy answers to a complex, ethically murky situation. Published in Curzon Issue 53. To read the original article click here.